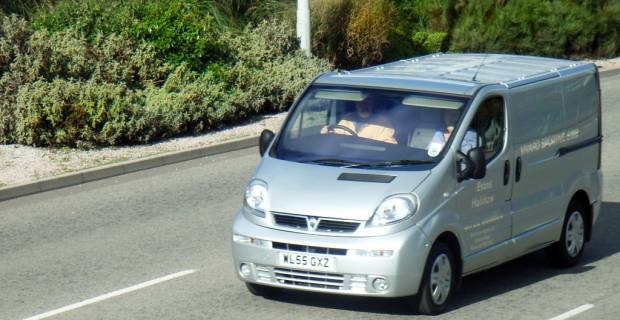 Launched in 2001, the Vauxhall Vivaro - also sold as the Nissan Primastar and the Renault Trafic - is a mid-sized van generally manufactured in the GM Luton facility. Available in several variations, including minibus, panel van and platform crew-cab set-ups, the Vauxhall Vivaro was awarded the title of 'Van of the Year' in 2006 by the Professional Van and Light Truck Magazine. Photograph taken from didbygraham at Flickr. Among people who have bought a Vauxhall Vivaro, the performance of the van (particularly in terms of its fuel usage) is usually highly regarded. The van is seen as comfortable, efficient and powerful - even when loaded. Indeed, the load capacity itself is ample, and even the seating area has lots of extra room. Some have experienced faults with the battery, but overall there do not seem to be any common problems: most difficulties appear to be one-off occurrences, and there are not any underlying issues with the van's functionality. Owners generally regard the driving experience as very smooth, with little background noise - although the rather large size of the turning radius has come in for consistent criticism. The exterior is popular among reviewers, and while the build does not quite have the quality of a Mercedes or high-end Volkswagen van, for the price range the Vauxhall Vivaro offers excellent value. Its solid body and large front and rear bumpers give it a dependable appeal. The design of the interior has also been warmly received by users, particularly the articulation of the seats and the practicality of the set-up. However, the decoration has been poorly received in some quarters, with the sparseness of the dashboard layout criticised. The Vauxhall Vivaro is a relatively reliable budget van which provides pleasant driving experience thanks to its comfortable interior and powerful engine. Vauxhall have added many little details which will ensure your comfort at all times - and on the functional side, even when stocked to full capacity, the Vivaro will drive fluidly.